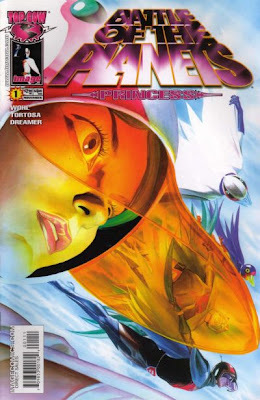 She's Fantastic: Battle of the Planets PRINCESS (and Variant)! Battle of the Planets PRINCESS (and Variant)! 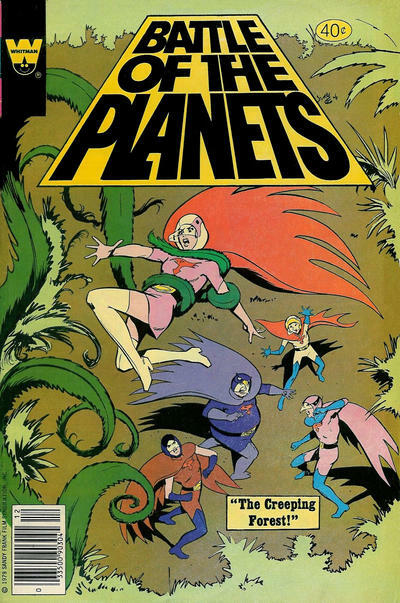 Battle of the Planets goes by many names. 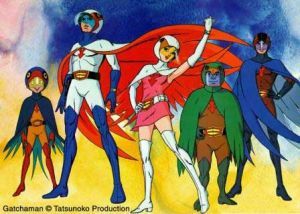 Suffering a similar fate as other imported Anime (Voltron and Robotech come to mind), the original Japanese Science Ninja Team Gatchaman (1972) was re-edited to become the 1978 US series Battle of the Planets and once again re-edited to become G-Force: Guardians of Space in 1986. There were a lot of changes between the versions. Most obvious is the setting. 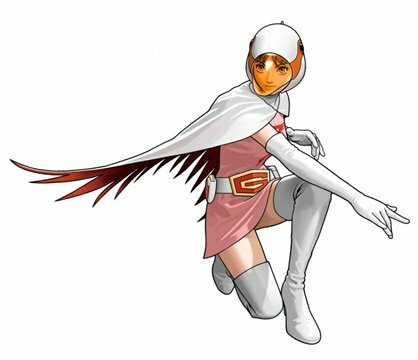 In Gatchaman, the G-Force team was on Earth (fighting a transgendered/hermaphroditic foe). In BotP, the adventures took place in space and the main villain was split into two characters (Zoltar: Male; Latroz: Female). 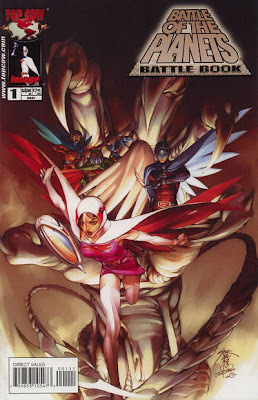 But the consistent heroics of a five-member bird-themed superteam fighting a villainous baddie is what made all iterations successful. 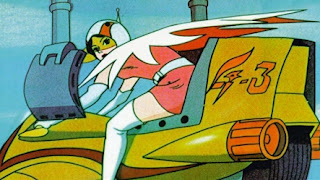 Battle of the Planets had a major nostalgia resurgence in the early 2000s. 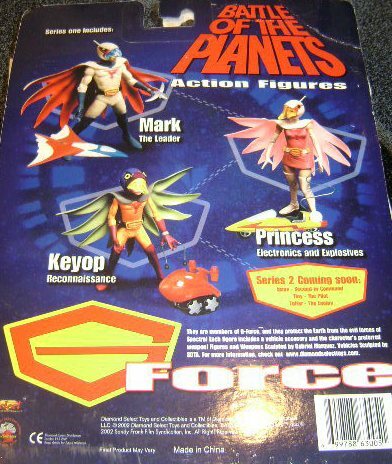 They had new comics, DVD releases, and of course, a series of action figures. Luckily the characters' looks have never changed, so whichever edit you love, these toys will fit the bill. Princess came with two accessories: A Yo-Yo Bomb and a miniature replica of her Galacticycle. Also in 2002, there were numerous retailer exclusive variants released. 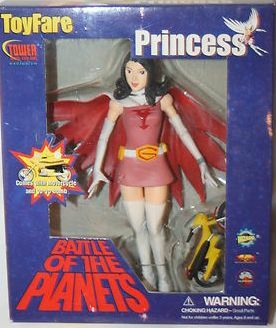 The unhelmeted "Civilian Princess" was a ToyFare Exclusive (Also, there seems to be a Tower Records logo on the box so perhaps it was sold there as well). As much as I enjoy this variant, something about the size of the head (and the size of her eyes) seems off. 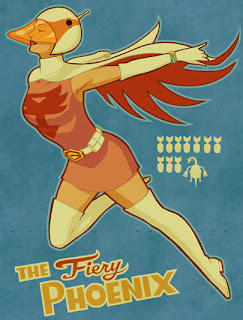 I much prefer the standard release. 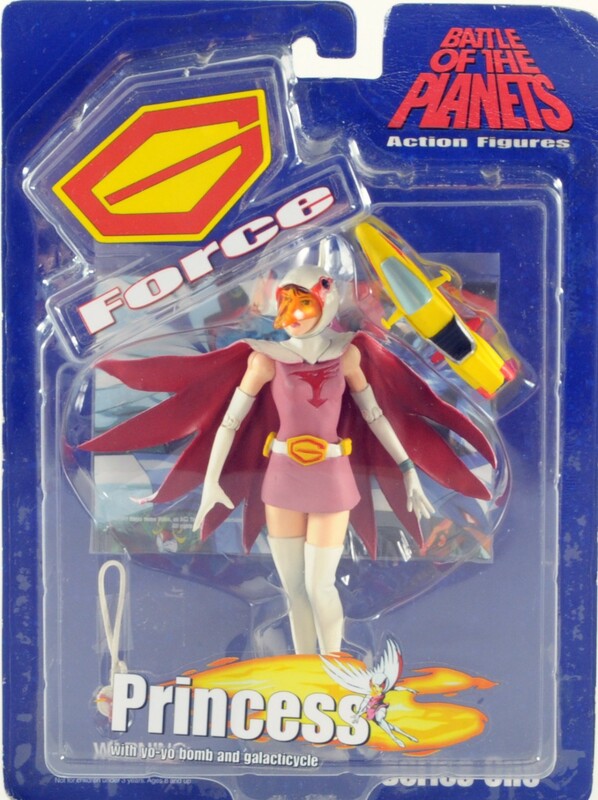 This version of Princess came with the same Yo-Yo Bomb, but had a miniature Motorcycle instead. 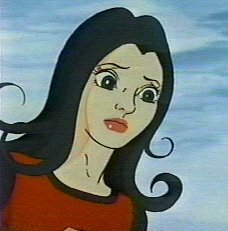 In researching this blog post, I was overwhelmed by the cool images I kept finding for Princess. 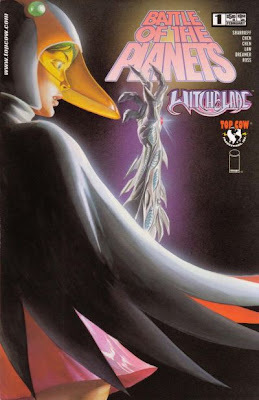 I'll start with some screencaps from the review, followed by modern fan (and professional) illustrations, and lastly a series of comic covers. 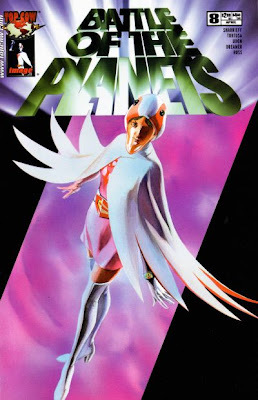 Back to some final shots of this beautiful figure. 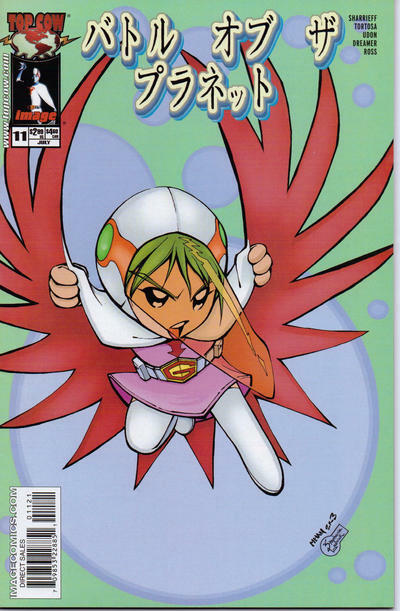 Beak-on isn't her most flattering angle, but it still looks pretty cool.